As another tour and train approaches I think back at those who participated in the past. When I speak to them it is as if we now have more of a common language then we had before, they have "been there, done that", they have seen the real Israel, behind the news, behind the propaganda. They have seen Israel and Krav Maga as one can only see it when their own two feet have walked the grounds of the Holy Land, Santa Terra. They have walked with me through Ya va Shem Holocaust Memorial and felt how the pain and trauma of the past is real and relevant. They have stood with the spirits of the defenders on Masada and looked down upon the remains of the Roman camp, still real after 2,000 years. They have met the real Israelis, eaten in their homes, mingled with "settlers" and heard individual stories. They have chatted with Jews and Muslims freely, broken bread and drank local coffee, known affectionately as mud. When you return home after Tour and Train you are no longer just a "franchised Krav Maga" school owner with a diploma on the wall, you are now a living representative of Israel with a Krav Maga diploma in your heart. You stand a head taller than your commercialized competitor. In one of our local synagogues there is a beautiful hand carved ark for the Torah with intricate work and many types of wood. Next to it is an explanation; it was donated by parents whose son prayed in this place when he attended high-school. His life was cut short by a terrorist. His parents responded not by killing or taking revenge but by donating an ark for the holy Torah and beautifying a place of prayer. 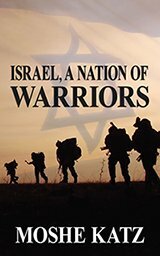 As I mention in my book, "Israel, a Nation of Warriors", this is the Jewish/Israeli way of coping with tragedy; taking the pain and doing something positive, constructive with it, building schools, parks, houses of prayer. We turn anger into love and kindness. Recently I was in Mexico for my first IKI Krav Maga seminar in Mexico City. At the airport waiting to board I noticed a family; the father and son were wearing kipot (yarmulka) and the mother/wife was wearing a traditional head-covering, a clear indication that they are Jews. During the flight as the flight attendant was serving coffee (American Airlines) I asked her if she could also give me a cookie as I was rather hungry. She snapped at me "It has been years since we gave away free cookies!". Shorty afterward the boy with the kipa came over to me with bread and cheese, "my parents thought you might be hungry and in need of kosher food." I was very grateful. When we landed I went over to thank them. We started talking and they asked me where I was from. When I stated "Maaleh Adumim" they inquired if I had ever prayed in the Yeshiva High School building, indeed I had. They asked if I noticed the beautiful ark of the Torah. Of course, I answered, it was very beautiful and hand carved and donated by a family in memory of a son killed by Arab terrorists. That boy, they said, was their son, they were the ones' who donated the ark. This is Israel, everyone has a story, everyone is living history. We are a modern ancient people where stories from the Bible are as real and relevant as the current news, where past and present mingle to form a unique people. Come to Israel to experience this for yourself.